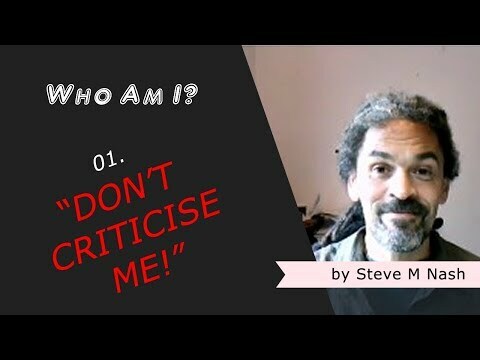 I Don't Like Being Criticised | Who Am I? Seriously, though, thank you for at least acknowledging this. Do what you do, don’t do what you don’t do, but let’s stop calling it “I don’t like being criticised”, shall we. Let’s just call it life, consciousness, everything. Doing it’s thing. As it sees fit.